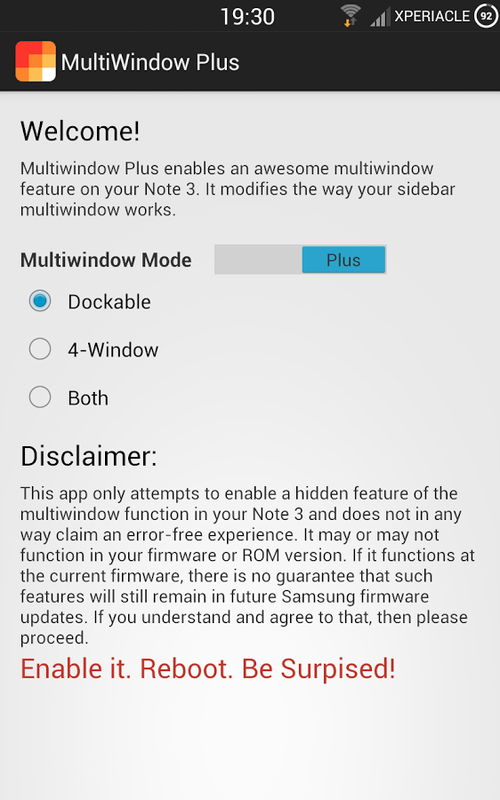 One of the things that sets the "Galaxy Note series" apart is the Multiwindow feature that Samsung introduced with the Galaxy Note 2 which allows users to use two apps at the same time. With my galaxy Note 3 i have being able to set up in a way in which i could take advantage of this feature by having links from certain apps open up in a multiwindow below the main app which iis great for reading articles from my Twitter feed. 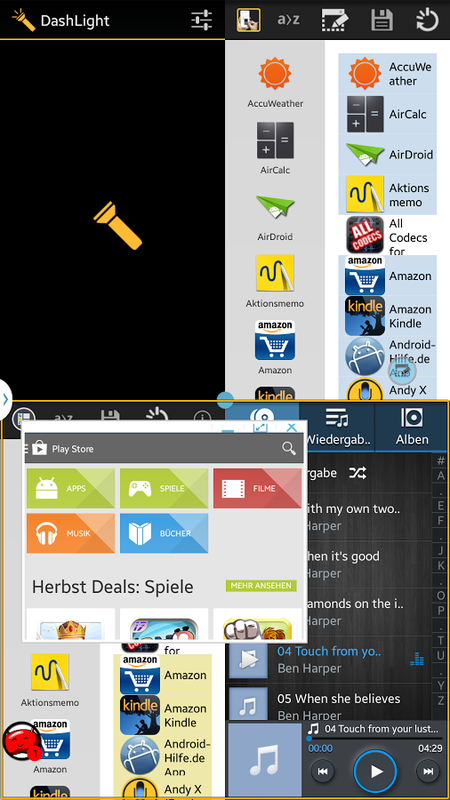 Some users on the XDA forums have created a multiwindow mod which practically on steriods and allows you to run up to 4 apps at the same time and a floating window, the screenshot above shows the mod at work. "MULTIWINDOW PLUS enables a HIDDEN feature in your device (please check compatible devices above) that adds more functionality to the multiwindow sidebar. At the moment, Samsung multiwindow feature only allows dual view. This app or mod so to speak adds floating, docking and quad view features on the multiwindow tray. I discovered said features while poking into the framework files and have asked some friends to test and it seems to be working." You can download this app from this link HERE or the Play Store (Donate version). 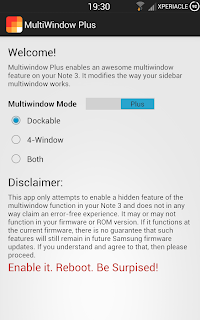 The mod is only for rooted Galaxy Note 3s or Galaxy Note 10.1 2014. You can hit the source link below to find out more about this mod.